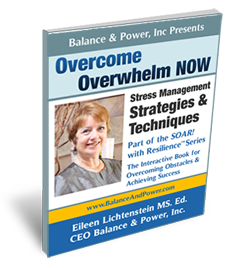 NY Networking: Eileen Lichtenstein of Balance & Power discusses strategies for coping with stress management, worry & anger management issues. Do you experience stress, frustration or insecurity due to challenges you are experiencing in any of these areas of your life? Is the amount of stress in your life affecting your job performance? Is the over all moral of your team at the office lacking? Have you noticed your team's enthusiasm for their career drifting away? Is absenteeism on the rise? Are you bringing your problems home from the office home? Are you feeling overworked and burned out? Do you have the time to exercise and eating properly? Have you and/or your co-workers been "short tempered" lately? I have the solution to these and many other problems relating to stress and anxiety in the workplace. Stress has been identified as the #1 health risk in America! Lifestyles and stress levels can be changed with impressive results! The goal of my Stress Management Seminars is to provide an understanding of the role stress plays in our lives, including recent studies of the impact of chronic stress on physical, emotional and mental states, and to provide experiences of different relaxation techniques that can be used in the daily lives of the participants. A warning to women: Don't let work be something to die for. Researchers at Harvard Medical School have found that women with highly stressful jobs face a 40 percent higher risk of cardiovascular disease. The study defined high stress jobs as ones where the woman felt she had little creativity or power to make decisions, despite being expected to perform tasks quickly. Stress levels were often raised because it is quite common for women have several non workplace tasks, including caring for children and aging relelatives. Inner strength and being centered are keys to life and business success! 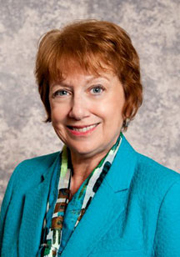 Eileen Lichtenstein has specialized for 20 years in work-life balance, stress reduction management, and career issues. She improves people ability to access the power already within them to bring about the balance needed to achieve their goals. Balance brings power to the process of decision-making! You will want to be a part of my incredible life changing stress management seminars! With a background that includes innovative training, speaking, coaching and Biofeedback, I offer individuals and groups mind/body modalities and coaching strategies to facilitate success. My Stress Management Seminars are based in Westbury Long Island, New York, and have clients all over the country. My seminars range from in person events to live conference call tele-class series where you can benefit from my program from the comfort of your home. The one most important piece of advice I have to give is this: Do not take something negative that someone says personally- it may be true – or perhaps it is simply the individual’s distorted perception. We are each quite capable of creative interpretations – of cognitive distortions. You may be asking- what exactly is that?? Cognitive distortions are exaggerated and irrational thoughts that can hold us back from our true potential. There are many recognized cognitive distortions that are helpful to be familiar with – so you can turn yourself around and also recognize when others are on that path. This is helpful in ‘not taking things personally,’ and puts you in the position to share your recognition of that with the one experiencing it. Learn strategies and techniques for goal attainment and stress reduction. It's easy for parents to feel overwhelmed, especially in today's world. This program shares stress and anger management strategies and how to become proficient Active Listeners and Conflict Resolution Practitioners essential in our busy home lives today. 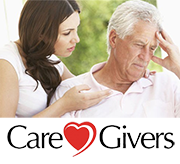 Contact Eileen today for information about Caregivers Support and a Free Consultation. Trying to be the sole caregiver may leave you feeling overwhelmed - emotionally and physically - and may make you feel isolated from others. You may worry that no one else can do it as well as you can, so you feel like you can't ask for help. Allowing yourself to take a break each day - however brief - will help you be a better caregiver. Are you withdrawing from family and friends because you're afraid they will be uncomfortable around the person you are caring for? If so, help them understand the disease and its effect on everyone, including children. And remember, taking part in things that you enjoy not only gives you a break, it can also restore your energy. You are not alone. This feeling, is of course, very common. Many caregivers feel anxiety over financial matters and future care needs. To gain confidence that you are making the best decisions you can, start planning early and involve the person you with you are caring for as much as possible. Sadness, grief, loneliness and anger are all normal feelings as conditions, such as Alzheimer's, slowly takes away the person you care about and your life is forever changed. Expect to feel loss and grief. But don't be afraid to acknowledge your feelings and to seek the comfort of others who understand. Finding ways to take time for yourself, eat right, exercise and go to the doctor is challenging when your to-do list is already too long. But taking care of yourself should be at the top of your list. When you keep yourself healthy, you'll be a better caregiver. Balance & Power, Inc. has been addressing stress and anger management issues for two decades, corporately and in the educational and private sectors, and is now facilitating Workplace Bullying Prevention trainings. 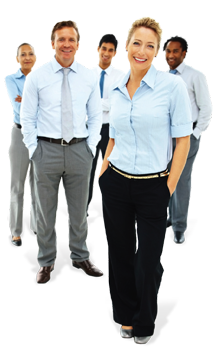 Bullying in the workplace has reached epidemic proportions - it is our goal to help eliminate these type of situations. 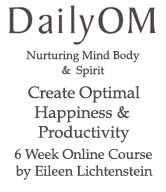 Eileen Lichtenstein, CEO, believes inner strength and being centered are keys to optimal productivity and happiness. She is a Certified Anger Management Specialist, accepted by the US courts, a former Biofeedback Practitioner, and former faculty member at Hofstra University. "Eileen's seminars were interesting, informative and presented in a clear and unique way. The techniques she taught us are valuable techniques for reducing stress on the job." - E.I., Associate Provost for Information Systems, Hofstra University. "I was impressed not only by your professionalism, but also by the personalized attention that each employee received from you during and after each session. You came very well prepared and your activities were interesting . Our employees were thrilled with your sessions. Many, with your assistance, have been able to reduce their stress in the workplace." - J.H., Human Resources, Margolin, Winer & Evens, LLP. The success of my Stress Reduction and Management Seminars are based on the simple techniques, that can be used in any setting to quickly produce a reduction in the level of stress being experienced in today's turbulent world, both in and out of the work place. Integrating stress reduction/prevention/intervention techniques and a strong awareness of personal triggers to help bypass personal panic buttons from being pushed are goals of the program. Participants are encouraged to create personal goals to reduce stress and for work/life balance issues, especially in the realm of time management. Follow-up individual and team coaching is encouraged for optimal, consistent results. Workplace Stress Relief Tips will be given throughout the seminar. Sing ~ Dance ~ Love ~ Be Grateful ~ Think Positive ~ Have Fun! Eat Peacefully: This aids the digestion and gives you "time away". Leave your office! CLICK HERE for more tips you can implement today! Stress Management, Anger Management and SOAR! 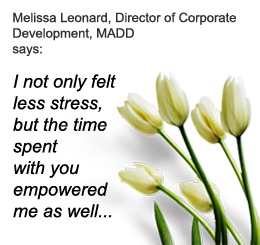 with Resilience® Coaching and Workshops in Westbury, Nassau County Long Island NY, and New York Metro Area, on your site, via Skype, telephone, webinar.